"Everybody do the disco stomp! Everybody do the disco stomp! Staggeringly ahead of its time; the minimal, utilitarian, vocals, the subtly flowing rhythms, the patient key changes, the robotic place name recitations (particularly the atonal 'NEW YORK CITY' towards the record's end). 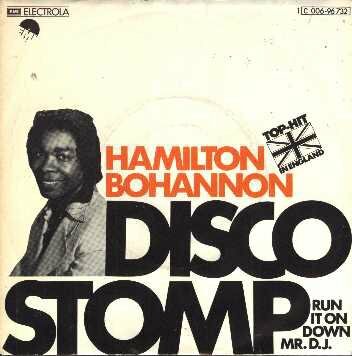 Was the disco stomp ever a real dance? I’d like to think so. The rhythm and structure of this single make the imaginary dance the best pop craze ever in my mind, spiralling across the United States, peculiar and unexpected, and yet – yes! – making dance floors fun and affectionate places.